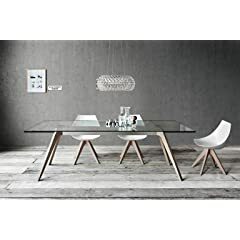 Here is a selection of extendable glass dining tables. 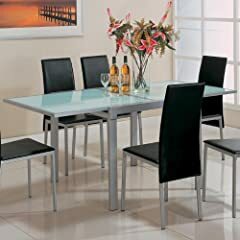 I love glass dining tables. 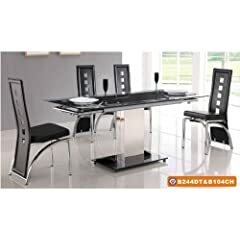 They do look elegant, and they go with most decors. They are also easy to clean. 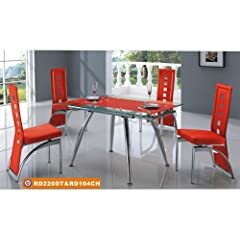 Being extendable is a plus as they can be used for larger gatherings, and you can keep them small when not needed. 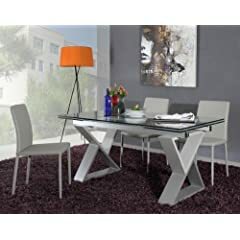 Delta: Modern Dining Glass Extendable Table. Natural Oak Legs.